Technical writing is relatively new but very promising career. A person who can write well and understand technology is well positioned to slip into the shoes of Technical Writer. 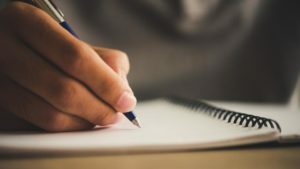 With the tremendous growth in trade and commerce coupled with technological advancement and growing reach of social media the demand for Technical writers is growing at rapid pace. If you have a strong interest in technology and want to guide people through complex processes, then technical writing might be a career field worth exploring. One needs to explain difficult concepts and procedures in a very simple, plain, and easily understandable language. Job opportunities in this field can be in the form of Information Designer, Senior Technical Writers and Project Managers. If you have degree in English literature, Arabic or degree in mass communication, print journalism, science or IT you can join one of technical diploma or certificate courses. An excellent command of English or Arabic or any language of your choice with good comprehension, vocabulary and grammar with some creative thinking you could be ideal person for this field. A lot of things you learn while doing the job as well. What is technical writing? How is it different from content writing and instructional writing? Technical Writing involves transmitting information from the product developer to the product user(s). It is a specialized skill and focuses primarily on developing simple, specific, and precise technical instructions on the product usage like user manuals for gadgets, installations guides for software, administration guides for hardware, and so on. Content Writing is not necessarily focused on technical topics. Content writing can be witnessed on websites or brochures for various products and services. Instructional Writing is relatively closer to Technical Writing; however, it’s primarily meant for developing user on-boarding tutorials or training material on products or processes, such as step-by-step instructions in BPOs for various processes. What comprises technical writing course? What are the skills required for an aspirant? What are the important technical writing tools for a technical writer? Technical Writing tools vary from one organization to the other. Popular content authoring tools are Microsoft Word, Adobe FrameMaker, Adobe RoboHelp, MadCap Flare, XMetal, Arbortext Epic Editor, and so on. A few companies have also started using Wiki-based collaboration platforms like Atlassian Confluence. In several companies, technical writers have started developing videos using Adobe Captivate, TechSmith Camtasia, and so on. What is the most challenging part in this profession? Technical writers are heavily dependent on the product development teams for the information required to create their deliverables. Writers often find it difficult to receive timely input and feedback. In addition, if they do not have technical background, they may find it challenging to learn the intricacies of complex technical products. What is the job responsibility of a technical writer? Understanding the product and using the technical writing principles and company style guide to design and develop customer-facing technical documentation. Developing multimedia-based communication products, such as videos. How is the career of technical writing in Kuwait and rest of Arab countries? Does this field have a good scope in the coming years? 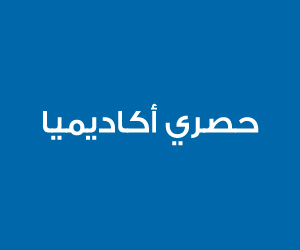 Since a huge quantity and variety of products are imported in Arab countries from the manufacturers of those countries where Arabic is not their language, In order to provide same service to the customer in these countries all these manufacturers do require technical writing experts to translate them in proper English or write them originally in English. The IT domain is witnessing a significant rise in the number of home-grown startups. Obviously, these companies require millions of engineers to cater to their business requirements. USA leads the world in software developers with about 3.6 million. India has about 2.75 million. However, by 2018, India will have 5.2 million developers, a nearly 90% increase VS. 4.5 million in the U.S., a 25% increase through that period. As per a conservative industry estimate, we need at least one technical writer for every 10-15 developers. Going by that, we need nearly half a million technical writers by 2018. Currently we don’t have even half of that number. Therefore, we have a huge growth potential in the technical writing space. Get under the hood of the technology/ products and get your hands dirty. This will give you a deeper understanding of the product and that will surely reflect in the quality of your deliverables. Keep learning. This will keep you relevant.